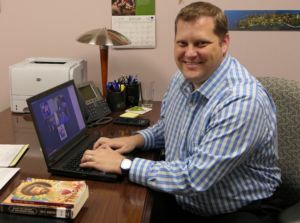 Sisters of Bon Secours Young Adult Program Manager Nick Stein helped lead a webinar this week in advance of this year’s Vatican Synod on Young People, Faith and Vocational Discernment. The webinar focused on an important document – called “Instrumentum Laboris” (Working Document) that will serve as the foundation for the Synod in Rome in October. The 67-page document is the end result of nearly 18 months of preparation in which young people around the world voiced their views on current realities facing them and the Catholic Church today. The webinar was hosted by the US Catholic Bishops Southeast Regional Office for Hispanic Ministry (SEPI) and was also held in Spanish. This webinar is open to all pastoral leaders, especially those working with youth, young adult, and campus ministries. In addition to Nick Stein, who is also chairman of the USCCB National Advisory Team on Young Adult Ministry, panelists included Fr. Rafael Capó, Executive Director, Southeast Pastoral Institute (SEPI), Paul Jarzembowski, Lead Staff, USCCB Youth and Young Adult Ministries, and Katie Prejean, U.S. Delegate to the March 2018 Pre-Synod. A full version of the webinar will be posted on the Bon Secours Young Adults website in the near future.